The Nigerian Civil Aviation Authority (NCAA) has intensified surveillance of the domestic carriers as part of its mandate to keep the Nigeria airspace safe. The Director-General of the Nigerian Civil Aviation Authority (NCAA), Captain Muhtar Usman has alleviated fears of air travelers at the weekend over possible accident, especially during the yuletide and said the Authority has intensified the monitoring of activities of the operators. have intensified that; especially since this recession started, to ensure that all operators are abiding by the provisions of safety and security regulations and in the areas of enforcement and compliance, we have done a lot. This move by the apex aviation regulatory agency, was to ensure that airlines do not compromise safety and security standard in flight operations because of the prevailing economic recession. Forex challenges, paucity of aviation fuel and high cost of maintenance have constituted a big hurdle for Nigerian carriers, so there is fear they may cut corners, especially as there is significant reduction in passenger traffic, which means less revenue. The Director General said “There are those that thought they would slip under our radar and do things that they should not do, we were able to sanction a number of operators; even individuals who had license and were trying to operate in ways contrary to the privileges given to them in their license, such as the pilots we caught and suspended from operating flights as a result of testing positive to illicit substances and some flying without necessary documentations and other infractions. 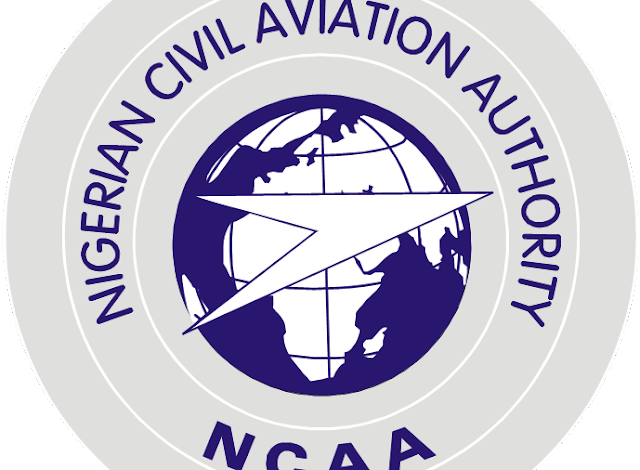 He noted that contrary to reports making the rounds, NCAA has been carrying out both local and international training because training of technical personnel is the bedrock of the Civil Aviation Authority anywhere in the world, remarking that NCAA cannot deviate from that, adding that due to the present economic situation in the country, overseas training has to be prioritized and the agency has to be very prudent and strict in the way already limited funds are deployed. Muhtar also spoke about the development of the new headquarters of NCAA in Abuja and said that no work has been done in the building since about four years ago because no fund was credited to the project in the budget. “As I am talking to you now international training is going on and local training is going on. The only thing we want to do is to prioritise in view of the resent economic recession. The budget was done at the time dollar was below N200 and now it is about N400. So it is due to prudent management of resources that we would carry out the stipulated training; if not, we won’t be able to do more than 50 percent of the training programme,’’ he said. “Gone are those days when money was there. Now we want to prioritise and use that training as a tool to make the individual to perform the duties he is employed to do. So we have not really fallen back; we are prioritising and we ensure that all necessary training are done and that is the only way we can implement those critical elements as required by the International Civil Aviation Organisation (ICAO),” Muhtar said.